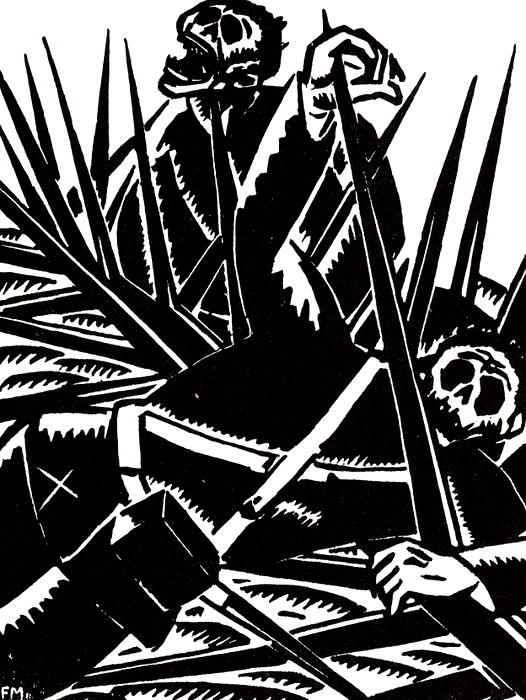 THE REVELATOR is proud to reprint this Klas­sic Komix from one of the ear­li­est and great­est inno­va­tors in the medi­um of graphix arts and word­less books. 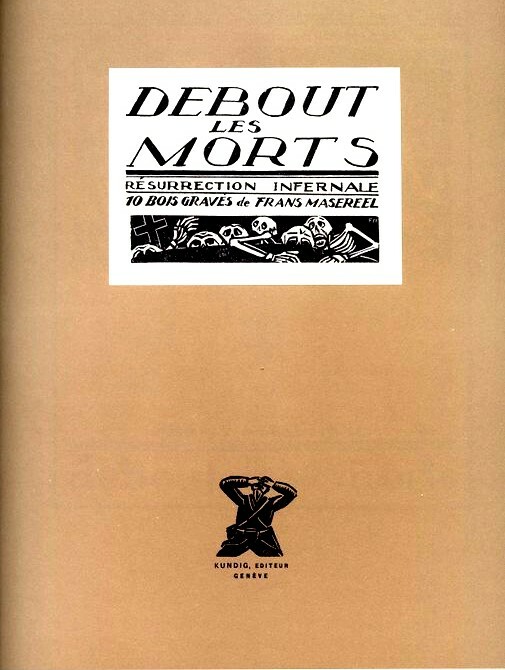 First pub­lished in 1917, Debout Les Morts is as rel­e­vant today as it was a cen­tu­ry ago. 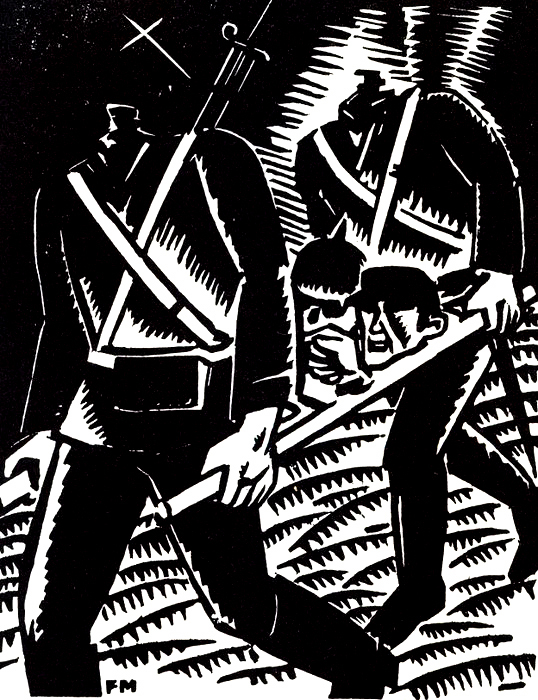 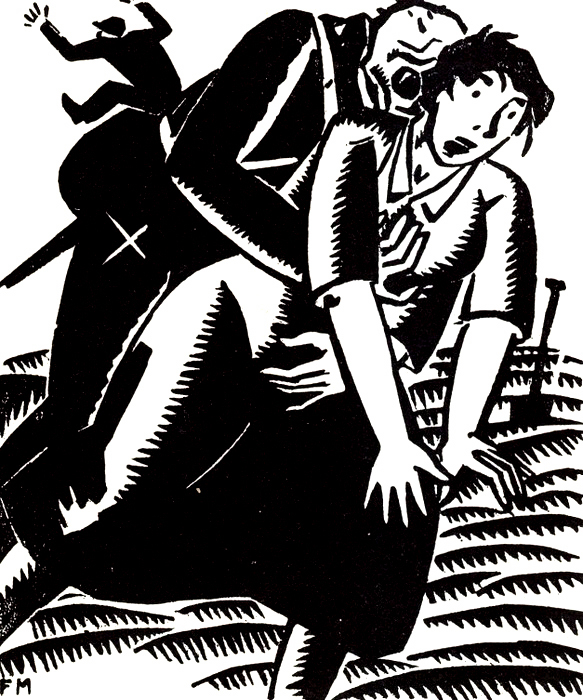 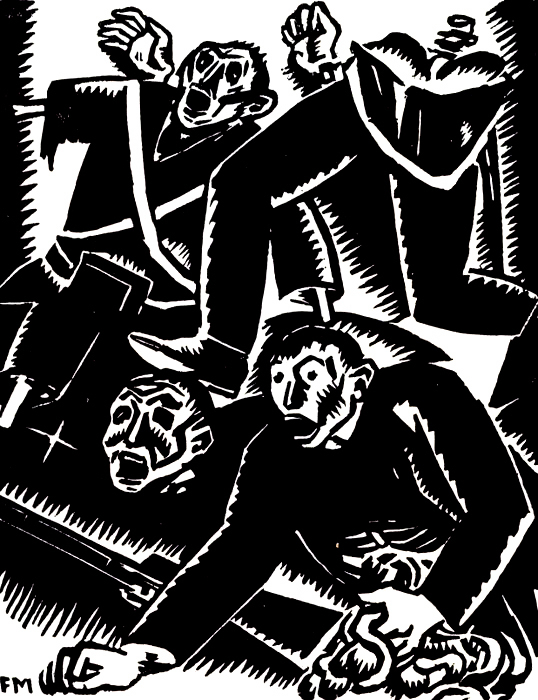 Please see the asso­ci­at­ed com­men­tary by David A. Beronä for back­ground on Frans Masereel’s graph­i­cal work against war. 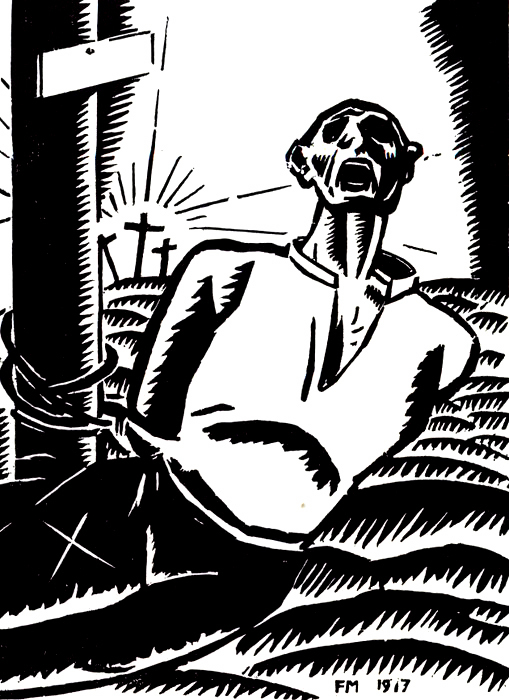 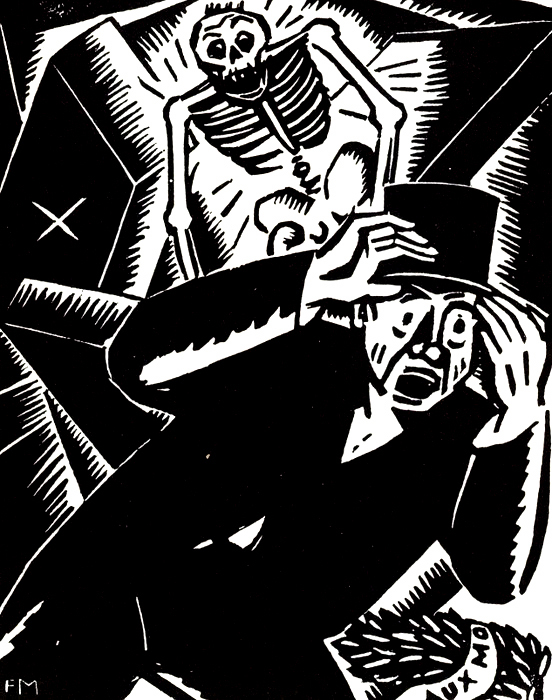 Frans Masereel (July 31, 1889 – Jan­u­ary 3, 1972) was born in Bel­gium but lived most of his life in France. 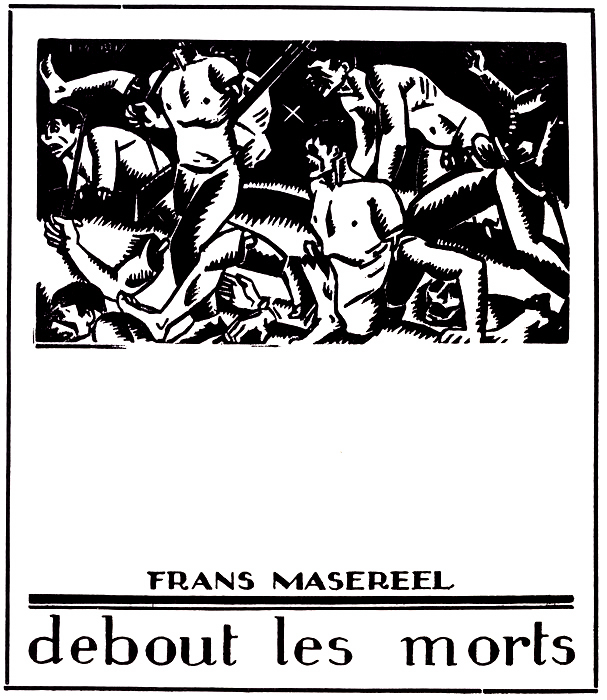 He is wide­ly cred­it­ed with invent­ing the ‘word­less nov­el,’ in which he used wood­cuts to tell a sto­ry in pic­tures. 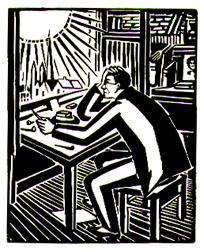 In the best known of these, Pas­sion­ate Jour­ney (1919), the life of its pro­tag­o­nist is fol­lowed through a series of 167 wood­cuts; Thomas Mann wrote the intro­duc­tion for the 1920 Ger­man edi­tion. 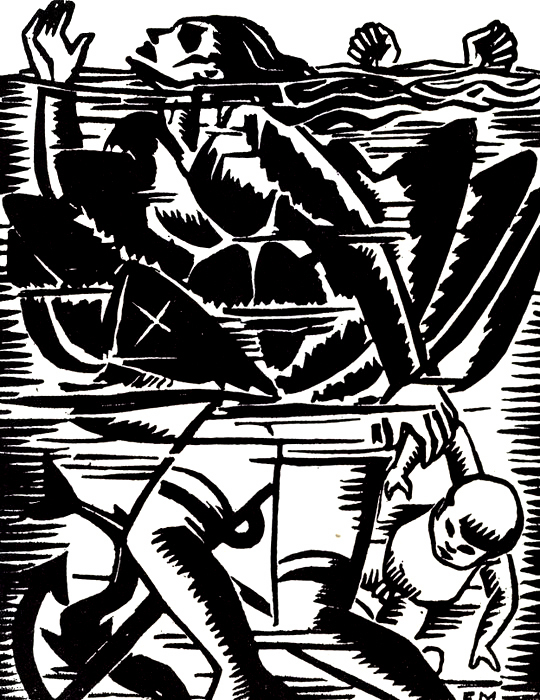 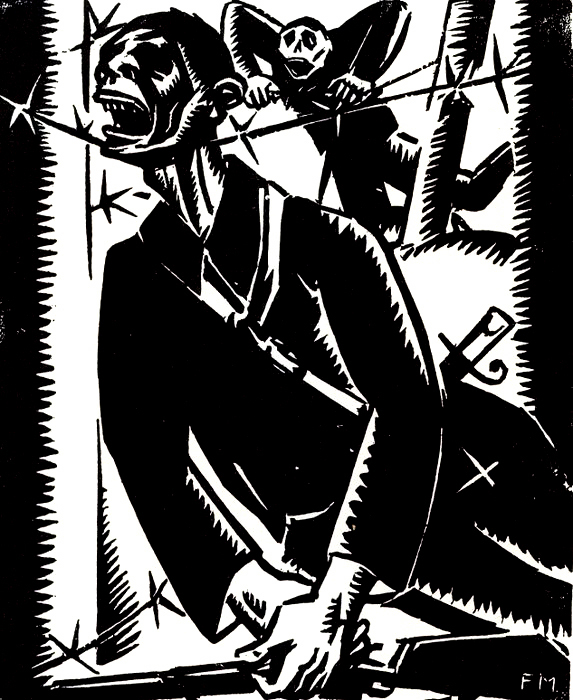 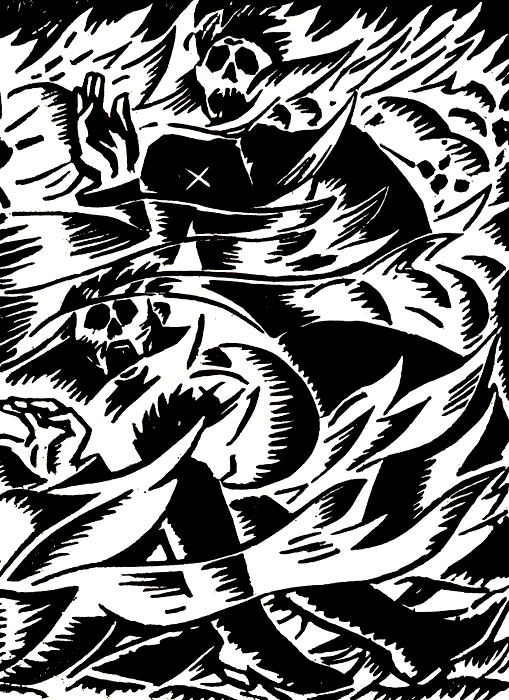 His work influ­enced sub­se­quent artists Lynd Ward, Art Spiegel­man, Will Eis­ner, and Eric Drook­er.